The beautiful Cape Hatteras National Seashore stretches over 70 miles from Bodie Island to Ocracoke Island. It is managed by the National Park Service on the Outer Banks and boasts attractions such as lighthouses, nature trails, and more! 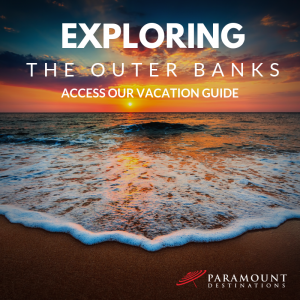 Whether you imagine yourself relaxing on the shores of the Atlantic or you prefer the idea of something more adventurous, this Outer Banks state park is the perfect place to soak up the sun. Read on to learn more about the seashore and check out our free Vacation Guide for even more local tips and suggestions! History buffs and children will enjoy the opportunity to climb some of the lighthouses that adorn the seashore! Both the Cape Hatteras Lighthouse and the Bodie Island Lighthouse are open to visitors from the third Friday in April through Columbus Day in October! The Ocracoke Lighthouse is another beautiful beacon of light to admire, though you can’t climb to the top of that one. Watersports are a great way to spend your day on the Cape Hatteras National Seashore! From swimming and surfing to kayaking, canoeing, kiteboarding, and snorkeling, there’s really no limit to what you can do out on the water. Be mindful of rip currents! If you’re with younger children, consider looking for beach access to one of the lifeguarded beaches. Fishing on the Outer Banks is an experience in itself. While deep sea fishing serves as the main draw, fishermen (and women) will find an array of opportunities for surf and pier fishing! Another perk of fishing on the seashore is that you are welcome to drive your vehicle on the beach! Check out their off-road vehicle information before heading out there! Admire local flora and fauna while hiking along one of the many trails within the Cape Hatteras National Seashore. Dense maritime forests, sand dunes, scrub thickets, and marshy sounds paint a picture-perfect scene for exploring. Spot native birds, plants, and more! Wind your way through various terrains and experience the barrier islands in their natural state. Take the family out to the beach to relax on the warm, golden sand. 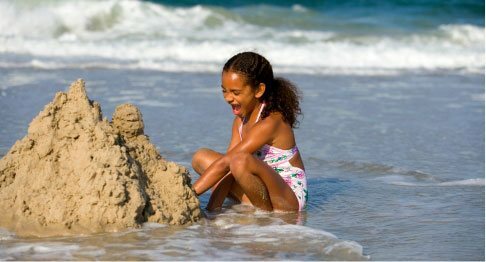 Watch as the water washes ashore while you search for seashells or sculpt sandcastles. Fly kites high in the sky under the warm rays of the sun and enjoy a nice picnic on a hot summer day. You can even stay later into the evening and build a fire! Just be sure to obtain a free beach fire permit before then. Visiting the Cape Hatteras National Seashore makes for an excellent day trip idea while staying at a Paramount Destinations vacation rental! 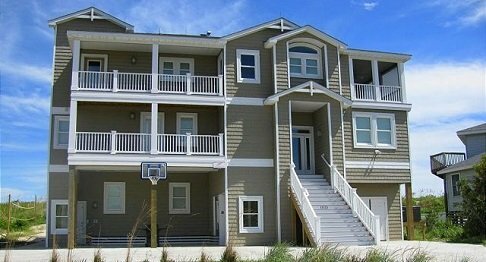 Our properties stud the coast of the Outer Banks. 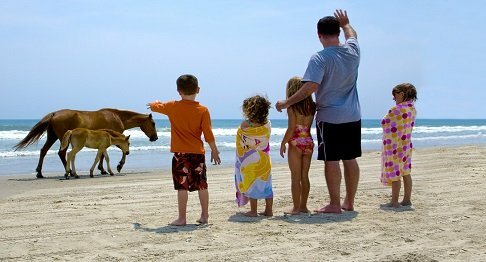 Stretching from Corolla and Duck and through Nags Head and Southern Shores, our homes set the scene for the family vacation of your dreams! Our Paramount Perks and quality rental amenities make our properties hard to pass up. What are you waiting for?